Dr. Kathryn Brennan grew up in Saint Louis, Missouri and received her undergraduate degree in Biological Sciences from DePaul University. She went on to receive her Doctor of Dental Surgery degree from Marquette University School of Dentistry, where she graduated with honors. Dr. Brennan enjoys helping patients overcome their dental-related fear and anxiety. She believes in creating an environment that fosters effective communication and respect, helping her patients feel valued and comfortable. 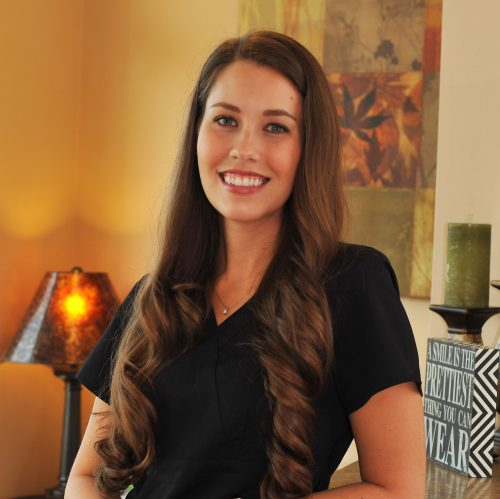 Dr. Brennan understands the important role dental health plays in a patient’s overall health and well-being, and is passionate about delivering comprehensive and individualized care. Dr. Brennan is a member of the American Dental Association, the Missouri Dental Association, the Greater St. Louis Dental Society, and the Missouri Valley Study Club. She volunteers annually with Give Kids A Smile and Mission of Mercy to provide dental care to children and adults in need. In her free time, Dr. Brennan enjoys watching Cardinals baseball, gardening, and spending time with her Labrador Retrievers, Bubba and Stella.